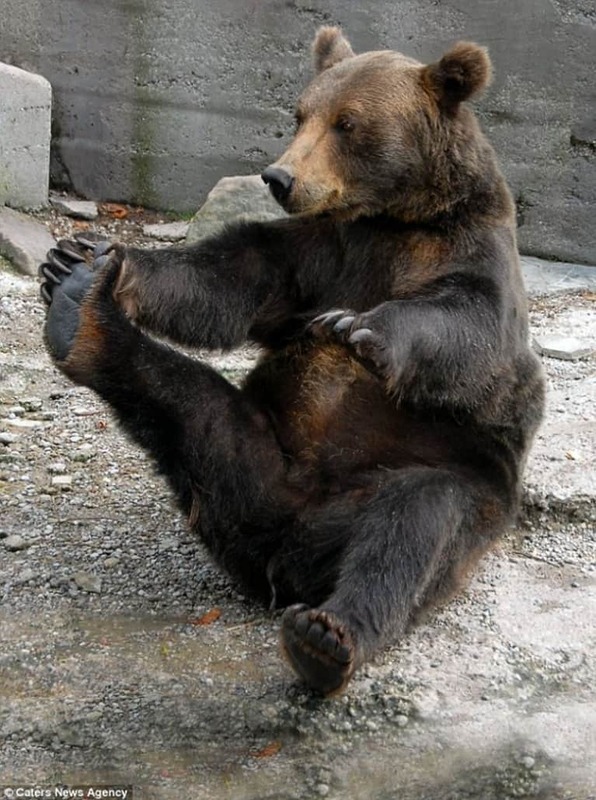 Yoga: Even Bears Do It! Yoga is becoming so popular that even bears are getting in on the action (sans yoga mats). Meet Mikhail the bear, who gets his Boat pose on at Germany&apos;s Kaliningrad Zoo. According to The Daily Mail, Mikhail practices for about five minutes a day. It's unclear how long Mikhail hold Boat pose for, but regardless, we just love that he's practicing yoga!